Home›Reviews›Hairball - Killer Tribute to Arena Rock Invades the Henderson Pavilion! 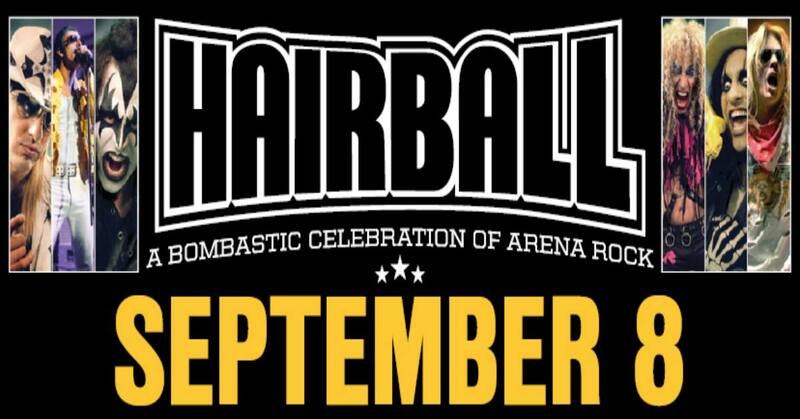 On September 8, 2017, Hairball played the Henderson Pavilion. This was the group’s first performance in the Las Vegas Valley that was open to the public, and not a private/corporate gig. 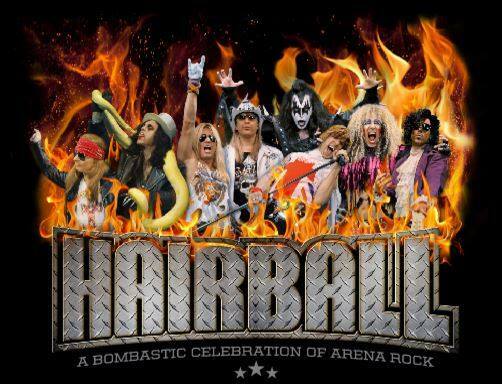 For several years now, Hairball has been putting on a stage show designed to bring all the thrills of arena rock and its finest bands to a single stage. Upon my arrival at the venue, even before the musicianship got started, I was impressed by the lighted stairs, elevated drum platform, and video screens behind the band members. Once things started and the pyrotechnics went live as part of the process, it was clear that this was no ordinary cover/tribute band scenario. This was also an unusual night in that the weather was not the typical sunny Las Vegas Valley variety. A storm with heavy rains, winds, and lighting and thunder dominated much of the evening. It is not clear if this kept people away from the gig; I still saw a substantial crowd of people despite the inclement weather. The show, whose crowd included young and old fans alike, went off without a hitch nonetheless, much to the delight of all the rockers assembled. Right from the beginning of this gig (which started right on time, a rarity for any concert), the pyrotechnic effects got the attention of the crowd. The group utilized revolving door frontmen dressed in the attire of the musicians that they were paying tribute to; it was clear that in addition to being competent musicians, these guys had clearly studied the stage moves/looks of the performers they were covering. Even if these guys were less-than-stellar musicians (which they certainly were not! ), their stage show alone would have won over this fan. We saw frontmen portraying the roles of David Lee Roth, Gene Simmons, Alice Cooper, Ozzy Osbourne, Robin Zander, Freddie Mercury, and Joe Elliott. These guys looked the roles, and for the most part, pulled off solid impersonations, both visually and aurally. This, coupled with the stage effects, lighting, and pyro definitely got the attention of this crowd. Humorous moments included one member of the band dropping to the stage and rolling mid-performance, a comical moment of a road crew member being “chased” off the stage by a band member, and even a memorable scene of a small girl getting on stage and rocking out with the band. Regardless of your taste in these bands/music/etc., these guys know how to keep your attention. 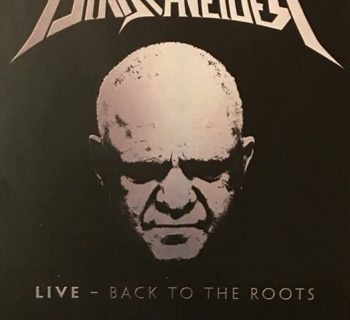 One of the best things about the group is that they touted their stage show as being “for all ages;” this is a welcome change in a city that primarily only caters its musical performances to the 21+ crowd. I was also impressed to see that, even though many parents did bring their children to the show, it was not overly sanitized or made “politically correct” for a family audience. We had Gene Simmons breathing fire. Alice Cooper with a stroller full of dead babies and body parts. Language in songs typically intact, with plenty of opportunity for crowd interaction. This is what a rock and roll stage show should be, and you could tell the folks in the audience, young and old alike, agreed with this. The only real issues I had with the performance stemmed from the sound quality (not of the band’s performance itself, but of the venue.) I was seated at the front left side of the arena, basically as close as one could be without being in the orchestra pit, beneath many amplifiers. From where I was, much of the band’s music was drowned out, with certain parts being too loud and certain elements being practically inaudible as a result. Though this is more an issue with the venue and its sound system/setup than the band, as well as where I was seated. Admittedly, a few parts of the show held up better than others, but you can tell these guys had studied the artists and were huge fans, absolutely nailing the roles. This was my first Hairball show, and I do not plan on it being the last. 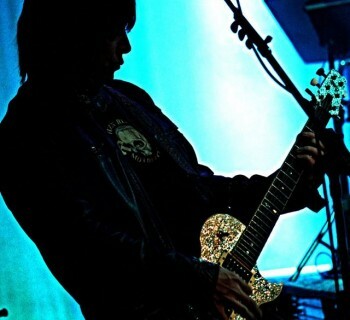 These guys do the material justice, holding nothing back and thoroughly rocking their audiences. Definitely one of the most unexpected surprises of 2017 when it comes to the music scene. A highly recommended group; definitely see them if you get the chance. Bad Company - New Release Features Two Vintage Concerts!